The Nikon AF-S DX NIKKOR 18-140mm f/3.5-5.6G ED VR is the standard zoom lens that is typically included as a kit lens option with the Nikon D7xxx and D5xxx series cameras. It covers a 7.8x zoom range from a 27mm wide angle equivalent to 210mm telephot equivalent on full frame bodies. The lens can be mounted on full frame Nikon digital SLR cameras, however, the camera will recognize the lens is designed for DX sensor and automatically enable the DX crop mode. In the case of a 24mp full frame camera, the image will be recorded as a 10mp image instead of the full 24mp due to the cropping. This is because the lens is not designed to cover the full 24x36mm sensor found in the full frame bodies. If the image was not cropped you would see severe vignetting in the image. When purchased with a camera, this lens is an excellent value, adding approximately $300 to the camera body price. This is a $200 savings compared to purchasing the lens alone. Overall image quality for this lens is pretty good. Especially when you consider the 7.8x zoom range this lens covers. Images are reasonably sharp and constrasty, although not as sharp as a pro lens, but that is to be expected. Built quality is decent for a “kit” lens. One complaint I had about the 18-135mm lens that was the predecessor to this lens was the plastic mount. Thankfully Nikon builds the 18-140mm lens with a metal mount. Additionally, there is a rubber gasket at the lens mount, although the lens is not officially weather sealed. If you are purchasing a Nikon D7xxx or D5xxx series camera and you need a lens, this is a great choice when purchased with the camera. As a stand alone purchase there are better choices that do not cost much more. That leads to a split decision regarding this lens. 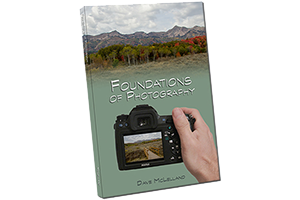 Recommended when purchased with the camera, but if purchased alone you may want to consider alternatives such as the Nikon 16-85mm f/3.5-5.6 or the Tamron 17-50mm f/2.8 (non- VC). 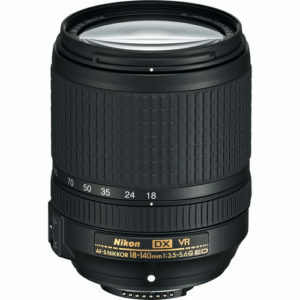 The Nikon 16-85 will give you better image quality and features a better build as well. You do lose some of the zoom range (85-140mm), but that is covered by the 70-300mm f/4.5-5.6 lens most photographers tend to pick up as a second lens. The Tamron 17-50mm f/2.8 (non VC) doesn’t cover much range, nor does it have images stabilization, but it does have a constant f/2.8 aperture which is great for portraits at the telephoto end, and low light throughout the zoom range. based on 408 user reviews online.